The Marche (pronounced Mar-kay) is a long narrowish region on the east of Italy, between the Adriatic and the Apennines. The main cities are Pesaro in the north, Ascoli in the south and Ancona in between. It has an ancient wine-making tradition and its warm and cool viticultural zones mean a variety of produce. Verdicchio is, by far, the main white grape of the area, with highly regarded wines coming from Castelli di Jesi and Matelica. 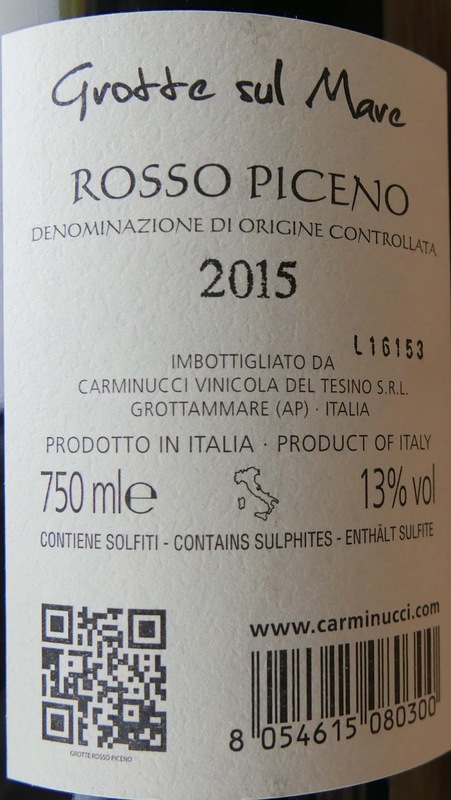 But “there’s a significant production of a crisp Trebbiano-based white in the south”, near Ascoli-Piceno, according to Vino Italiano, and this is where our family, Carminucci, comes from. Red wines here are “a softer version of Chianti” according to Vino Italiano, and they can also be “some of the best values around”. The World Atlas of Wine is of much the same opinion. 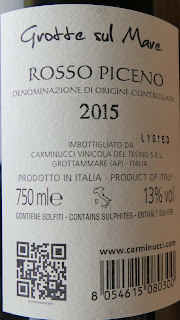 "Rosso Piceno... generally with lower yields and judicious oaking, can be good value." Sangiovese and Montepulciano are the main red grapes. 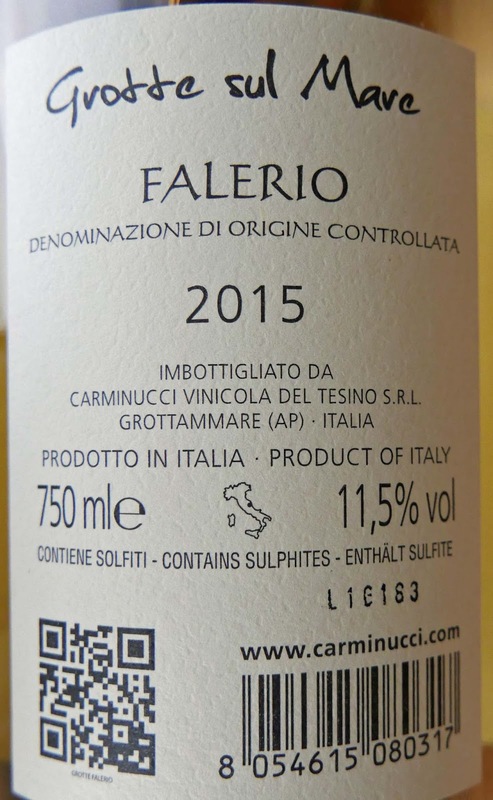 Carminucci Naumakos Falerio (DOC) 2015, 12.5%, €15.95. Findlater's (whose stockists include Bradley’s North Main Street, Cork). 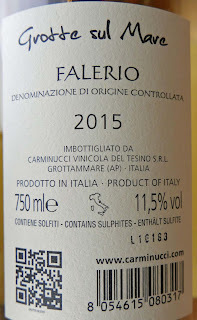 This is a fresh and fruity blend of Trebbiano, Passerina and Pecorino. Trebbiano is the backbone while the other two, each native varieties, boost the aromatic complexity. Crisp, tangy and refreshing. Colour is a light straw, tints of green, micro-bubbles. Aromas are pleasant if modest, of almonds. There are refreshing fruity flavours with an immediate appeal, persistent from start to finish. And I'm not talking tasting portions here. This is not a wine to sip and abandon; it has second, even third, glass appeal! Good acidity too. Could possibly do with a bit more body, a tad more viscosity, but a very pleasant wine as is and Very Highly Recommended. This is 100 per cent Pecorino. I am talking about a grape, not the famous sheep's cheese of Italy. The Pecorino grape is so called because a bunch resembles a sheep’s head. That’s one story. Another is that the bunches are a favourite treat for the sheep. In any case. it does well here in Offida. Colour of this Carminucci, a producer newly introduced by Findlater’s, is a pale straw, invitingly bright. Aromas are delicate and pleasant, of apple, pear and banana, some floral elements too. On the palate, it is full and rewarding, good depth of flavour and minerality; it is full bodied, dry and well balanced. A very pleasant mouthful indeed and Highly Recommended. aperitifs, fresh cheese, white meat, fish. As with the whites, the DOC for this red is in the south of the Marche region, close to Falerio, Offida and Rosso Conero. The blend is 30% Sangiovese and 70% Montepulciano. It has been matured for 12 months in 400 litre oak barrels. It is a dark ruby red with a complex bouquet of the darker fruits (plum, cherry), hints of liquorice too. The first rich sip tells much. It is a lovely rounded wine, full of flavour, some moderate spice, with a terrific balance, quite fine tannins and a persistent finish. Very Highly Recommended. Same three grapes but a different vineyard to the Naumakos, lower ABV also. Light straw colour, tints of green. Pleasant aromas of fruit (apple, pear), plus floral notes also. After the introductory tingle, the fruity freshness (grapefruit now added to the mix) continues; it is dry, fresh yes, and well balanced. Good acidity too (they recommended trying it with fish) and a pleasant and persistent finalé. Highly Recommended. This Grotte Sul Marc line underscores “our link with this territory… the Grottammore hill zone”. It is a blend of Sangiovese and Montepulciano and no oak has been used in this one. You are advised to “use all through the meal, with delicatessen products, cheese, and roast meats”. Ruby red is the colour. There are cherry aromas. On the palate it feels smooth, with rounded red fruit flavours, slight spice and altogether a rather lovely wine, dry and soft and with a good finish. Enough acidity to keep it welcome at the table. Highly Recommended.